You know that cliched thing movie reviewers do whenever there’s a new Star Wars movie, presenting it like it’s just an obscure film? “This week, a little indie movie named Star Wars: Rogue One opened. You may have heard of it,” etc. Well, this week a little underground video part by an up-and-comer named Nyjah Huston was released. You may have heard of it. Haha, of course you’ve heard of it. It’s called "’Til Death," and, as far as our site is concerned, it lived up to its title. 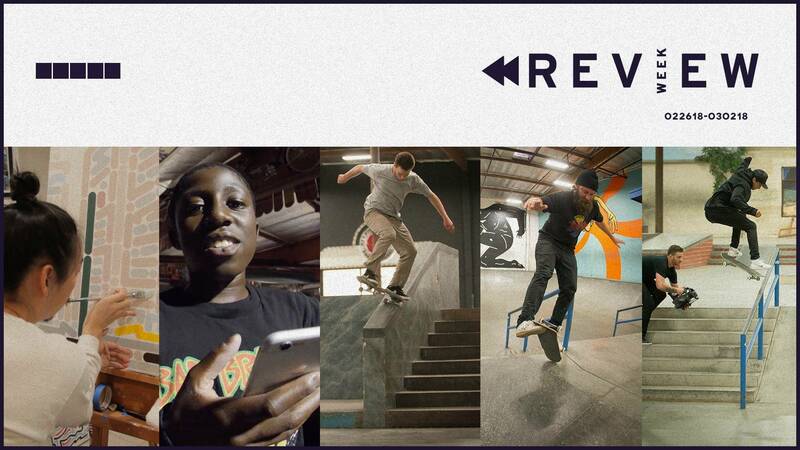 The Berrics virtually died, crashing due to the thousands of visitors eagerly refreshing their screens at 4:59 PST. On one of our many, many Nyjah-related Instagram posts, a user even casually commented, “I hope you guys can handle all the traffic.” (#Nostradamus.) Modern technology, am I right? “‘Til Death” is an unqualified hit. Depending on whatever metrics you use—comments, reposts, duplicate message board threads about the same damn topic—the part is a blockbuster by today’s standards. As of Friday afternoon, three days after its premiere, the video had surpassed 1.1MM views on YouTube. That means you, dear reader, have most likely watched “‘Til Death” at least once. And this part is instantly rewatchable. At eleven minutes long, the part has a number of meme-able moments, like when he backside tailslides a hubba in front of a police officer (that moment when you realize Nyjah is above the law). Ryan “a lover” Alvero – Bangin!